BELIZE CITY, Thurs. June 11, 2015–Graduation day is the grand climax of the academic life of any student. Even as thousands of graduates will this year enjoy this major milestone, there will be those who just did not make the cut. A group of students from Wesley College are among those who didn’t—but their inability to graduate with their peers last night is being attributed to a sudden change in graduation requirements during the final few months of the academic year. That change is being challenged on behalf of one of those students by attorney Godwin Haylock, who penned a letter on May 21, 2015 to Wesley College chairman, Rev. Roosevelt Papouloute. In that letter, Haylock outlines the case of Dante Reneau, who was advised last month that he could not graduate because he did not meet the requirements. Parents were informed in a meeting this January that the GPA requirement had been changed from 1.0 (which represents a grade of 60% to 64%) to 2.0 (which represents a grade of 65% to 70%.) Prior correspondences detailing graduation requirements had indicated that the minimum GPA to graduate is 1.0. “There is no doubt that almost everyone supports raising the bar for the graduation requirements. It signals Wesley’s commitment to produce high caliber students who will matriculate effortlessly into any tertiary-level education. However, I find effecting this requirement – months prior to graduation – as tantamount to ‘moving the goal posts’ whilst a game is in its final quarter,” Haylock said. Yesterday, we spoke with Rev. Papouloute, who was initially reluctant to comment on the matter. He did inform our newspaper that the board will review Reneau’s case as well as the case of all other students similarly affected. Reneau told us that he knows of about 10 of his peers who would have been similarly affected, but other information available to Haylock suggests that as many as 20 students may have been adversely affected by the change. According to Papouloute, over 100 students graduated Wednesday night in their annual commencement exercise. He told us that when he joined the Wesley College team 12 years ago, the 1.0 GPA was already a part of the graduation requirements, but he declined to discuss the decision this year to change the minimum GPA to 2.0. Reneau told us that based on the graduation requirements that were in place up to January 2015, the only subject he would have failed would have been Spanish, and he would, in fact, have met all graduation requirements, including attaining a passing grade in English and Math, two of the compulsory subjects. However, the school wrote him in May saying that he would instead receive a certificate of attendance, because with the new GPA scheme, he would not pass all compulsory subjects and he would not meet the revised GPA requirement. Haylock told us that any court would find it irrational and unreasonable for a school to make a change in a graduation requirement in this manner, and secondly, he said, it has been a time-honored tradition for the past two decades to allow students with a 1.0 GPA to graduate. The attorney also adds that the school never had proper consultation with the parents of the students or with the Ministry as required. His letter to Papouloute says that the decision is “arbitrary and unconscionable,” citing (1) a breach of contract with the student, (2) a violation of his legitimate expectation, (3) and a lack of proper consultation in the process. He noted that as a government-aided school, Wesley College is not only subjected to requirements for adequate consultation with the Ministry of Education but is also amendable to judicial review by the Supreme Court. 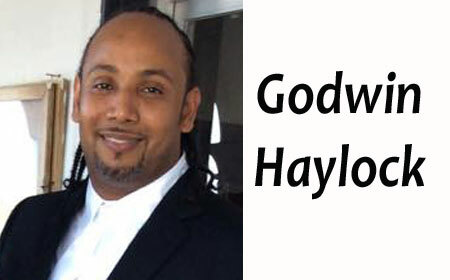 However, Haylock has not moved to file a court claim against the school, as he prefers for the matter to be settled without having to seek court redress. He called on the board to revisit the situation in order to resolve the matter—which the chairman told us they are now doing. Reneau, who is interested in information technology, said that he would really like to get his diploma so that he can move on. He has been admitted to Wesley College Junior College’s ACE program, and he told us that he won’t be able to immediately start his junior college studies in business science unless the grading scheme at the high school is reverted for this graduating class.